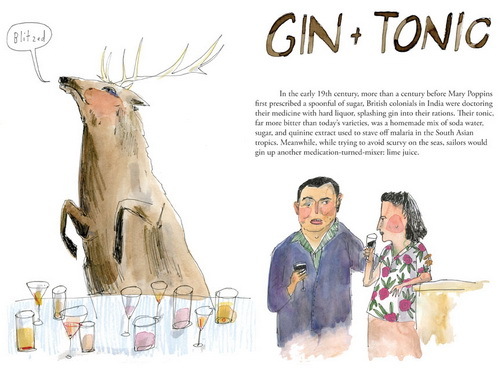 Pepper & Chocolate: An illustrated guide to cocktails: sweet and beautiful book. 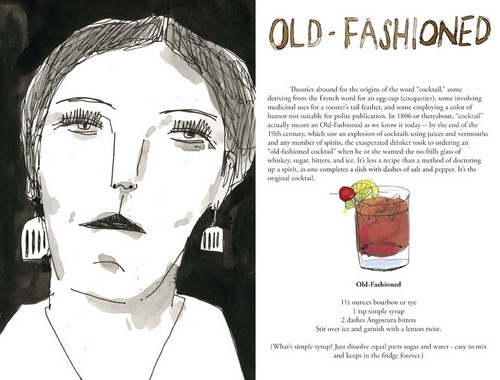 An illustrated guide to cocktails: sweet and beautiful book. One of the greatest luxuries in this life is to combine pleasures. some mix music and dance while others a warm bath and a good book. At Pepper & Chocolate, we love cocktails. Each cocktail marries, in a single beverage, the strength of a liquor to a sweeter side of a bitter fringe. A cocktail is in itself a combination but when you add art to this, you have a recipe for a perfect moment. 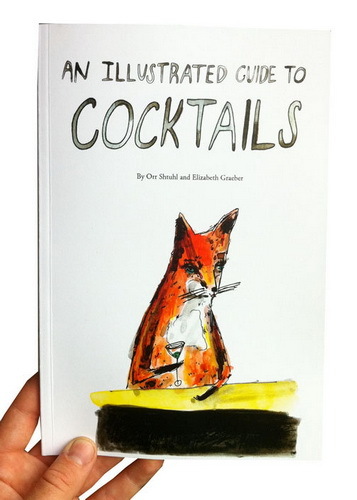 An Illustrated Guide to Cocktails, by Orr Shtuhl and Elizabeth Graeber, tells the stories of the famous cocktails like "gin and tonic" or the "old fashioned". The book takes you from the origins of the drink to celebrity bartender and recipes...but this would just be yet another book about cocktails. This one is completely different. While providing interesting information, it refreshes your eyes with beautiful illustrations. "A good cocktail has the intrigue of an alluring drama, the joy of a salty-sweet dessert, and the sin of a vice that you know is bad for you."